Solutions To Fix Kodi No Stream Available Error | Find More Streams! Kodi No Stream Available error messages can throw a damper on any planned enjoyment of a great movie or TV show. This pop-up dialog box eventually challenges every Kodi user. The MTM team is frequently asked what the Kodi no stream available error message means and how to fix it. We cover the most common causes for the lack of stream availability and offer some easy solutions to getting the streams flowing once more in this article. If you’ve discovered a solution not mentioned below to fix the no streams available error on your Kodi box, we’d love to hear about it in the comments section. There are many reasons Kodi gives a No Stream Available error. While this usually happens due to outdated addons or resolvers, it can be as simple as a bad network connection or having online resources blocked by your ISP. The usual reason causing the need to fix no stream available on Kodi error is from using an addon that hasn’t been updated or no longer works. When Kodi add-ons are dropped by their original developer, the addon is no longer updated unless a new developer steps in and takes it over. The sources that are scraped to load when searching for a movie or TV show stop working properly if the Kodi addon isn’t regularly maintained. We suggest checking our Best Kodi Addons list to learn about the numerous working options currently available. If you are receiving an error message while attempting to use one addon, try another. My True Media currently recommends the recently updated Exodus addon for free movies and TV shows. It works great again after a recent update. Some of the older addons in our Best Kodi Addons list article still work great for those using Real-Debrid . When using Real-Debrid, you’ll very rarely have no streams available, though it does cost a few bucks. If you find that one addon doesn’t work, try another. It’s a good idea to install more than one Kodi addon, as most specialize in different types of media. A good all-in-one addon can take the place of many but may go down occasionally. At this time, the best all-in-one Kodi addon is Exodus, though you can find many more listed in our frequently updated best Kodi addons article. The best way to determine whether the add-on is to blame for the error or currently works well is to test various TV show and movie streams with it other than the one you are attempting to play that is giving a no stream available error message. Dig into one of the categories and find a title that you know has been available on DVD or Blu-ray for a few months, then try playing that. If it works well and there are plenty of sources presented, more than likely the addon is just fine. Often the original title you are searching for is simply no longer available. That’s a very typical reason for the “Kodi no stream available” message. Having no stream available in Kodi quite often happens when attempting to stream an older movie or TV show that isn’t very popular anymore. Kodi may display available sources; however, they may have recently been taken down from the Internet. It’s also possible the links just haven’t been cleaned out of the list in the addon being used. This same scenario holds true for new movies that are still in theaters and TV episodes that just aired on subscription services or broadcast networks. Some of these titles are too new to have functioning links available to pull from. We don’t recommend messing around with trying to play movies that are still in theaters unless the sound and picture quality is not that important to you. These new movie release streams are typically bootleg recordings of a movie illegally taken with a smartphone by someone sitting in a theater. You’ll also want to check the laws in your area to make sure streaming unlicensed data of this sort online won’t get you in trouble. The Kodi no stream available error message is received frequently when trying to watch soap operas or daily news shows, too. It is hard to find a source that has all of these available due to the work required in uploading them to the internet on a daily basis. If you are still receiving the No Stream Available error on every title after trying the above recommendation, there is likely something wrong with your network. Either an internal or external network problem could exist. There is a possibility that something could be wrong with the network within your home. Fortunately, this internal network problem is usually a simple fix. First, we suggest restarting your router if you suspect an internal network issue. You can do this by simply unplugging your router from the power source. Then, leave it unplugged for about 15 to 30 seconds to ensure any capacitors have drained, then plug it back in. Follow these same steps with your modem as well if the router reset doesn’t do the trick. If resetting the modem or router doesn’t work, we recommend testing your Internet download speed. To do this on your streaming device, open a browser on your Fire TV, Firestick, or Android TV Box. Head to the https://speedtest.net site and run the available test to find out the bandwidth (throughput speed) of your internet connection. You can conduct this speed test in Firefox, Chrome, Silk browser, or even the browser available in the Downloader app fairly easily. Once you know the throughput speed your internet connection has, you can select stream sources that are compatible with your connection capabilities. Typical internet connection speed requirements necessary for various streaming video definitions are as follows. It’s possible you will get a great result with the internet speed test and still have a lot of video buffering. If your ISP can see what you are streaming, chances are they will throttle your internet connection and make it difficult to stream. Without an encrypted connection, they can definitely see all of your online activities. Many internet service providers in North America and Europe are slowing internet connections of people streaming free movies and TV online recently. We suggest moving your Firestick or other Android streaming box and wireless router closer together. This should provide a better signal if your download speed is extremely slow. Also, if your Kodi streaming box has a physical network adapter connection such as Ethernet, using that instead of WiFi greatly improves your streaming capabilities. If you live in rural areas you might be destined to deal with slow Internet speeds. There is an adjustment that you can make in most Kodi addons if you can’t upgrade your Internet download speed. Look under the tools or settings button. If you have a slow Internet connection, you’ll want to extend the amount of time that a particular Kodi addon will scrape the web for the media content that you would like to watch. Using the Placenta Kodi addon as an example, follow along below. First, click Tools on the Placenta home screen. Then go to Providers Timeout. Push slider to the max position, being 60 seconds within Placenta. If none of the above adjustments work and you still receive a Kodi No Streams Available message, external network problems may be the culprit. Your Internet Service Provider (ISP) may be blocking access to various Kodi streams. The only solution to this external interference is the use of a Virtual Private Network (VPN) on your Kodi streaming device. This encrypts your connection to the Internet, making it impossible for your ISP to track or log your online activities. Not only will a VPN prevent your Internet Service Provider from censoring what you are accessing on the web, but it will protect you from other internet threats. Such as hackers and corporations accessing your personal data for their agenda. Often times with malicious intent. To learn more about virtual personal networks, see our article explaining what a VPN is and why one is necessary. We always recommend IPVanish VPN due to its zero log policy, ultra-fast download speeds, and superior encryption to safeguard your privacy. They offer VPN apps specifically designed for Firestick, Fire TV and Android TV Boxes. Allowing use on up to 10 devices simultaneously and providing apps for Android, Mac, Windows, Linux, iOS, Chromebook contributes to IPVanish VPN being our editors’ choice. If you install the IPVanish VPN app on your router, you can have every device in your home or office protected even if there are 255 of them connected at one time. The IPVanish VPN 7-day money-back guarantee also makes them easy to try without risking any money. The most notorious error message of this kind is the “Exodus no stream available” message. It’s been the most searched-for no streams available error on Kodi since Exodus went down due to being abandoned by its developer Lambda and TVAddons back in mid-2017. This error isn’t as much of a problem now with the latest Exodus on Kodi updated to great working status. With the most popular add-on ever developed being Kodi Exodus, no stream available gets a lot of attention when Exodus stops working. Most experienced Kodi users are using Exodus at this time. As with any third-party Kodi addon, Exodus goes down occasionally. When it actually stops working, there are plenty of great working Kodi addons to take up the slack. Until that time, there are ways to fix most of the problems with the availability of streams in Exodus. The Exodus Kodi addon uses scrapers to search for streams online, but quite often, they stop providing working results. This is a quick fix, and one that you may want to do often to keep Exodus working at its best. Within Exodus, go into the Tools menu item. Click on the Providers item. Turn off any providers that you found to be unresponsive when looking for available streams in Exodus. Many other Kodi third-party addons are developed in much the same way as Exodus. Quite a large number of them are actually direct copies with but a few minor changes made. These addons will have the same process to fix scrapers that have stopped providing working streams. Maintenance should be regularly performed on Exodus to keep it working great. Clearing the cache can allow outdated info to be refreshed, which can really speed things up and allow for newer sources to be provided. Enter the Exodus Tools menu item. Scroll to and activate both Clear Cache and Clear Providers. This simple clearing out of source providers and old files can really make a difference. We suggest doing this on a weekly basis to keep Exodus and similar Kodi addons working great. When you select a title in Exodus and most other Kodi streaming addons, you’ll notice a number of providers comes up and then each of them performs the task of searching for available streams. Some providers take longer than others, but none should take longer than 20 or 30 seconds. If you find some providers taking a minute or more, this can pose a problem when there are many of them in line. Go into Tools within Exodus. At the top of the list of options, choose General Settings. Change the Providers Timeout to 20 or 30 seconds. This way, if a provider in Exodus can’t find any streaming sources within that amount of time, Exodus will move on to the next. If you find a provider doesn’t stop scraping in that time limit, then the provider may be bad. This scraper should be disabled via the instructions in the first method in this Exodus No Stream Available Fix section of the article. For a more pleasurable streaming experience, we recommend that cord cutters have more than one streaming app installed. 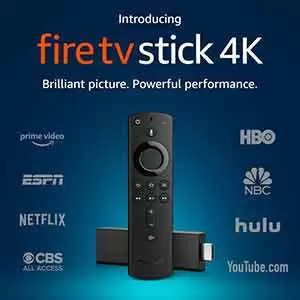 There are plenty of great streaming apps for Android devices such as the Amazon Firestick and Fire TV. It’s good practice to try multiple add-ons within Kodi. That way, if one isn’t providing the results you are looking for you can move to another.